Third and FINAL in the Noel Nutcracker series. 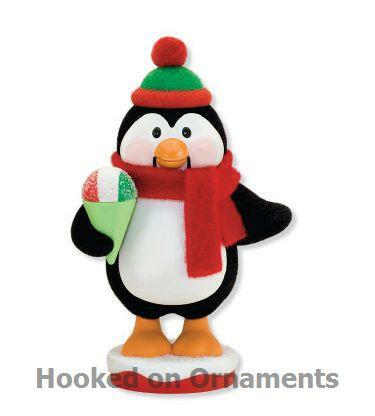 The "Snow Happy To Serve" penguin is happy to share his snowcone with you! Move handle for nutcracker movement. I have ordered numerous ornaments from Hooked on Ornaments and this one did not disappoint either. The ornaments have all been shipped soundly with no issues upon arrival. I received the order promptly and had no problems. I look forward to ordering from this company again.